We know the stress and hassles that you face when you need relief from your mortgage payments in Kansas City or when you need to sell your property but cannot sell through traditional methods. We can help you by simply taking over payments through our Mortgage Take Over Program. Take Over House Payment Program is designed for distressed homeowners that cannot pay their mortgage anymore and are ready to walk away. What is the Take Over House Payment Program? 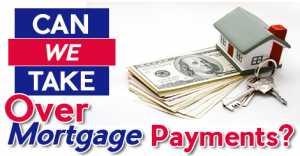 Our Take Over House Payment program is simple and works well with non-assumable mortgages. We’ll take over your property and you’re no longer responsible for mortgage payments. We offer this relief program to homeowners who are ready to walk away, even if you owe more than your home is worth. We then take care of the property and bear all the maintenance costs. What is the Take Over House Payment Program Kansas City? How can Take Over House Payment Program help me? Need financial relief inKansas City ? • We take over house payments – even if you’re underwater! An Investor Buyer will become the owner and will take care of your house payments. You don’t have to make any more mortgage payments to your bank or lender. We’ll take care of the repair cost, maintenance, vacancy, and any pending foreclosure. • All necessary updates and repairs are our responsibility. We are going to take care of any important property updates and repairs required for the sale of your house. We’ll take over your house inKansas City “As IS” condition. You don’t have to be worried about the maintenance and repair costs anymore. If you’re ready to walk away from your home and want to get rid of the stress of mortgage payments and repairs, our Take Over House Payment Program may be right for you. • We’ll take care of your house and mortgage payments. We have a system in place to control the property without hassle. In the Take Over House Payment Program, the house will be professionally managed, so you no longer have to stress about upkeep, tenants, etc. In most of the cases, our deals are closed within 30 days of the property handover. Any distressed property owners with little to no options left can contact us immediately at 913-428-0957. • How much does it cost? We work with zero upfront transaction fees or commissions for your property. The new Owner on your property does not profit unless the payments are made and the house is eventually sold to pay off your loans. We have designed this program for the homeowners who are unable to afford monthly mortgage payments and are need financial relief with no cost. Our program offers immediate relief to distressed homeowners with underwater properties, low equity, and lots of equity. If you have tried for short sale, are unable to manage monthly payments, need immediate financial relief, and are otherwise ready to walk away out of frustration, we can help. Call us immediately at 913-428-0957. Why let someone take over your house payments? Tired of the run around from the banks?! If you have already given your hard-earned money to your lender, and have gotten nowhere, why give your house back to them? Where’s YOUR bailout, after all? If you are taking money out of your retirement savings, college funds, and emergency savings to save your home, it is time to get some professional advice. Is it worthwhile to give away your savings or future to come up with your monthly mortgage payments? Take control of your financial life with our Take Over House Payment Program and stop throwing “good money at bad”. We can even take over non-assumable loans, plus you’re able to see that the payments are made on time. Important Note: We deal in distressed properties and creative solutions. If you need to list your home to get full price, we can help with that too. However, if you need to sell quickly, we offer alternatives to a traditional sale. In any scenario, we don’t make money unless we can successfully help you solve your problem – but this is a business just like any other business. The Investor Buyer that takes over your house payment becomes the OWNER of the property, and relieves you of payments, maintenance, property taxes, and HOA payments. They only make a profit when the monthly mortgage payments are made and when the home is ultimately sold to an end buyer – we do not want your home to fall behind on payments or foreclose! Your mortgage(s) will be paid in full when the house is re-sold to a 3rd party, typically a Lease Option Tenant that has occupied the property for some duration. You are always able verify that the mortgage payments are being made on time.We cannot guarantee a timeline of when your home will be sold to an end buyer, but if you are tired of pouring money towards a house and need a better solution, give us a call today at 913-428-0957. Our Company, SELLURHOMEKC, is a real estate investment Company. We Help Homeowners Facing Foreclosure Keep Foreclosure Off Your Credit, by being able to take over mortgage payments and the property associated with it. We can also take over payments if your house is for sale and currently listed with a realtor. By us taking over your mortgage payments we can save you from the negative credit effects that a short sale or foreclosure would have on your credit score. We are professional real estate investors that utilize our own investment resources to Help Homeowners Facing Foreclosure Keep Foreclosure Off Your Credit. We do not need to rely on bank financing, enabling us take over your mortgage payments in Kansas City and property within a short period of time. Many times we can also put money in your pocket at closing….if you’re Looking to Sell Your Property , you’ve come to the right place! We offer several custom programs in addition to our Mortgage Relief Program Kansas City. Meet with an investment consultant and find out which option suits YOUR needs best. We represent a network of literally thousands of real estate investors and a handful of very specially trained Realtors that focus on “non-traditional” or “creative” real estate solutions“. Sellers like you are asking… “Can someone take over my mortgage inKansas City or surrounding metro areas? ” Yes we can help! You may be behind on payments and feel like you are losing your house and need help. Our program can catch up late payments and help you restore your credit. Nothing effects your credit score and financial plans as adversely as missing your mortgage payments , a short sale or foreclosure in Kansas City. For most people inKansas City , a mortgage is the biggest loan you will ever be responsible for. Failing to keep up with your mortgage payments in Kansas City , will not just risk foreclosure but will also make life extremely difficult for you. 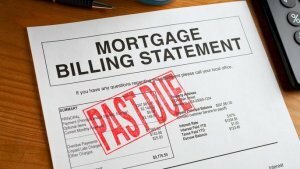 We can take over mortgage payments in Kansas City and help you keep a short sale or foreclosure off your credit. Many times we can also put money in your pocket at closing. Sellers like you are asking… “Can someone take over my mortgage? ” Yes we can help! You may be behind on payments and feel like you are losing your house and need help. Our program can catch up late payments and help you restore your credit. Mortgage Relief Program Available ForKansas City Residents. 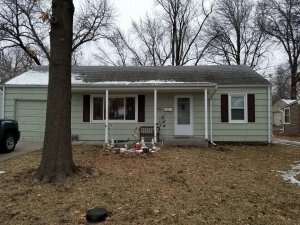 If you are unable to pay your mortgage and not able to renew your mortgage, take out a loan or apply for a low interest rate credit card due to your credit score being impacted from missed mortgage payments Kansas City this can impact your financial plans and put your life on hold for years. We can take over mortgage payments from KS to MO, and help you keep foreclosure off your credit. Many times we can also put money in your pocket at closing. When we take over mortgage payments Kansas City through our Mortgage Take Over Program, we can also help protect your credit record regarding any of your missed mortgage payments Kansas City . Your credit record along with any of your remaining equity in the property is less likely to be affected if you are proactive when you first start having mortgage payment problems or when you are proactive in the pre-foreclosure take over payments stage rather than the later stages of the foreclosure process. We can take over mortgage payments[market _state] and help you keep foreclosure off your credit. We can also catch up late payments along with making your monthly payment which will ensure your credit remains in good standing. This enables you to get a mortgage in the future without the adverse effects a short sale or foreclosure would have on your credit report. When financial circumstances impact your ability to make regular mortgage payments in Kansas City and surrounding Metro it’s important that you address the issue immediately. With early intervention, cooperation and a well-executed plan, you can work together with one of our mortgage professionals to find a solution to your mortgage problems. Homeowners often ask- Can someone take over my mortgage in Kansas City? ” Yes we can help! You may be behind on payments and feel like you are losing your house and need help. Our program can catch up late payments and help you restore your credit.